That's the verdict from the Watt family, who recently bought travel insurance from World First for a family holiday to Menorca. Mr and Mrs Watt had experienced a great difficulty in finding travel insurance for their daughter who has a rare form of cancer called rhabdomyosarcoma, asthma and cataract. She is also more susceptible to chest infections and the discomfort of dry eyes, related to her conditions. The Watts were very disheartened as many insurers refused to cover them and those that would were quoting £500+. They continued their search on the internet and came across World First, and used the instant quote facility on our website. It all looked pretty positive so they decided to follow up their initial inquiry with a call to our customer services team as they would feel happier discussing their situation. Mrs Watt says, "There seem to be lots of insurance on offer for people undergoing treatment. But we appeared to be in a 'no mans land' as our daughter has received treatment but not yet been given the all clear. Other insurers just couldn't deal with this but World First's approach to medical screening was refreshingly different. We were asked specifically about each of our daughter's conditions and the treatment she was receiving and timescales to get a more detailed and sensible assessment of our needs rather than lumping them altogether. Mrs Watt adds, "It wasn't just about what we were asked but the way in which we were asked questions too. The assistant we spoke to was very professional, understanding and caring. We are absolutely delighted with the outcome. The paperwork arrived in correct order within a couple of days so we are all set for a holiday which feels a very long time coming." With a single trip policy from World First for the family of four, covering pre-existing medical conditions for both Mrs Watt and her daughter, for just £97 we hope they have a really fantastic trip. 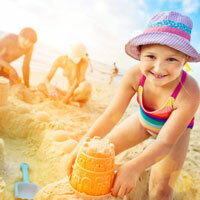 Find out more about World First's market leading pre-existing medical travel insurance cover.